After causing political disturbances in Greece and Italy, the aftershock of the global financial crisis has impacted on other nations within the EU. Analyst Igor Panarin believes a proposed Eurasian Union to be the only option for helping Europe. Italy has become one of the eurozone’s vulnerable members next to Greece. Prime Minister Silvio Berlusconi, one of the most spectacular political leaders in Europe in the last few decades, has been forced to resign. On 13 January this year, Standard and Poor’s downgraded nine out of the 17 member states of the eurozone, stripping France, the eurozone’s second largest economy, of its once superb credit rating. The European Financial Stability Facility was subsequently downgraded on January 17th. This leaves Germany the eurozone’s last remaining powerhouse. The European integration project that has been Europe’s leading narrative ever since the early 1950s seems stalled as experts explicitly opine that the EU is not capable of managing the crisis on its own. The only glimpse of hope for Europe in the present situation comes from the notion of Eurasian integration. Russia and the European Union agreed on forming a common economic space back in 2003. The plan provided for coordinating economic regulation without creating any supranational institutions. Vladimir Putin elaborated on the idea in his article published in the German Sueddeutsche Zeitung in November 2010, proposing a 5-point agenda for joint development. It included establishing a common free trade area, administering a joint industrial upgrade, setting up a common energy industry, unifying education standards and R&D frameworks, and introducing visa-free travel between Russia and the EU. Picking a German publication to introduce the proposal was a deliberate step and a remarkably shrewd political choice. In addressing the German public primarily, Mr. Putin was apparently acknowledging Germany as Europe’s sole genuine leader. Therefore, over one year ago Vladimir Putin proposed forging a common economic space and a pan-continental market stretching “from Lisbon to Vladivostok.” German Chancellor Angela Merkel spoke in favor of the Russian prime minister’s core initiative in her public address for Sueddeutsche Zeitung’s Fourth Economic Congress in Berlin, which took place one day after Putin’s article had hit the newsstands. Ms. Merkel noted, however, that Russia would have to join the World Trade Organization before it could have a free trade area with the EU. In a situation where a devastating financial meltdown threatens the very integrity of the European Union, I see Vladimir Putin’s initiative as the only option for preserving both economic and political stability in Europe. A unified system comprising the supercontinent’s diverse economies such as a Eurasian Union would help secure Europe against any downturn. A Eurasian Union essentially spells survival for the grand European project, and one on mutually beneficial terms. 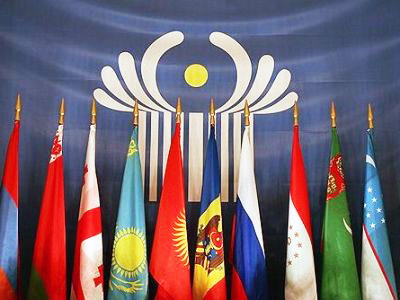 The Eurasian Economic Commission, the supercontinent’s first supranational institution, is set to convene on 1 February 2012. I regard it as a feasible solution for saving Europe to start contemplating a joint assembly that would comprise the representatives of both the EEC and the European Commission. The prospective institution should primarily focus on forging a common economic space spanning the supercontinent from the Atlantic to the Pacific, from Lisbon to Vladivostok, with a view to establishing a pan-Eurasian common market. The integration vehicle could be supplied with supranational institutions over time, if deemed expedient, such as a Continental Commission and a Continental Central Bank. Such institutions would be entrusted with drawing up commonly-applicable regulations and outlining the guidelines for future development and integration. I am convinced that a Eurasian Union that would pursue close partnership with the EU represents a viable option for ensuring stable development and prosperity for both Europe and the rest of Eurasia.